Home » Blog » Buying Advice » What is a Building Survey? If you’re in the process of buying a new home, you might have heard of a property survey but not fully understand what one is. It is a good way to prevent unexpected repair costs and will give you an idea of how much you might need to invest into your home once you move in. Here we will delve into the most comprehensive report – a structural survey, explaining what it is and why it’s important. What is a structural survey? A thorough assessment of property defects and notable hazards. Tailored advice on repairs and maintenance, including an estimated cost. A description of any previous structural work done on the property. It may include a property valuation if specifically stated to the surveyor. The survey will not report in detail on heating or electrical equipment, but, if requested, the surveyor can arrange for an expert to investigate these further. A full structural survey will generally take up to a day to complete and between five and ten days to produce the report. Why is a structural survey important? Conducting an in-depth survey is important because it reveals any serious structural issues and therefore helps you to determine if the property is worth the offer price or not. Proceeding without it runs the risk of encountering unexpected repair and maintenance costs once you move in. If the survey finds a lot of issues, you can negotiate a lower price or request that the seller fixes these issues before purchase. 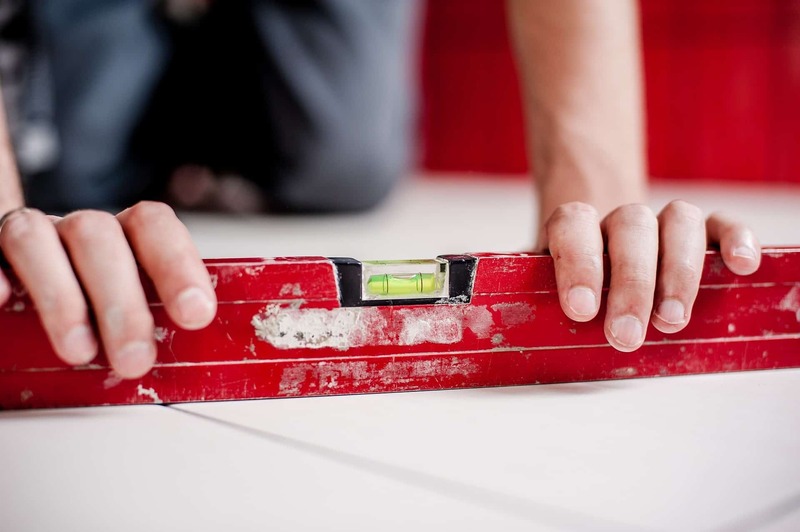 It is also important if you’re planning to carry out major works on your house once you move in, as you will need to know of any structural limitations before progressing. When do I need a structural survey? Once your initial offer has been accepted, it’s important to survey the property before finalising the sale to ensure you’re not obligated to buy if there are structural problems. If you’re getting a mortgage, your lender will insist on a valuation of the property, but this is not the same as a building survey. How much does a structural survey cost? It generally costs between £600 and £1,300 depending on the property type, location and size. Whilst it is the most expensive building survey, it is extremely detailed and is suitable for all property types. When coupled with poor ventilation, properties with issues such as rising damp, condensation or mould can require a lot of work. Older properties will often have been constructed without adequate ventilation or proofing so, damp issues are extremely common. Structural movement is when integral parts of the building that confer strength and stability shift. Roof carcassing, floors, walls, frameworks and foundations can bulge, crack, expand or contract over time and may compromise the safety of a property if the movement is severe. Natural decay, paired with variations in quality of materials, means that surveyors tend to identify some form of structural movement in older properties. Japanese knotweed is a clump-forming plant that grows rapidly and can cause damage to properties by targeting weak structural points. It produces thick and extensive roots that invade and worsen masonry cracks and mortar joints. Electrical problems can vary from minor issues to something that could lead to a full rewiring of the property. Similarly, faulty drain pipes can cause numerous issues within a building, including water pooling and water damage. Asbestos can cause life-threatening health issues and was banned in 1999 as a building material, so any property built before this date could still contain it. In the case that asbestos has been found in your property, you should contact a specialist to remove it. Surveys usually find evidence of poor installation, ponding water, slipped slates and inadequate ventilation in older properties and without proper maintenance, these issues can become catastrophic. While most of these problems are easy to rectify, it’s important to look at the condition of the roof on the whole and consider how this may impact the property in the future. What happens after a structural survey? If the report has uncovered problems with the property or the surveyor has valued the property at a lower amount than you offered, you might want to negotiate the price of your new home. Most reports help you decide which problems are most urgent by ranking issues by severity using a traffic light system. This stage in the process can be stressful but, once resolved, you can contact your mortgage lender and solicitor to proceed. At this point you will receive the final contract to sign and complete the sale. Condition report: A condition report looks at the state of a property and identifies any risks, urgent defects and potential legal issues. Unlike a structural survey, no advice or valuation is provided. It is the most basic and cheapest survey, usually costing around £250. Homebuyer report: A homebuyer report is suitable for modern properties in a reasonable condition and costs around £400. It looks at structural problems like subsidence and damp, but does not look beyond surface-level issues. Structural surveys can seem intimidating, but it’s worth paying more and getting the most comprehensive report so that you fully understand the property you’re buying. We recommend seeking further guidance if you feel you need more information or support. If you’re looking to buy or sell a property quickly, contact our experienced professionals at Good Move today. Good Move are proud to be the most regulated property buyer operating in the ‘Quick House Sale’ industry. Now you have had a chance to look around why not see if we can help? Good Move remains the most regulated property buying company operating in the Quick House Sale industry!